Ashley is sharing a tutorial for this awesome Duct Tape Tablet Cover on her blog. This is a great way to make a tablet cover that doesn’t involve any sewing. There are also so many different patterns of duct tape out there for you to choose from. This tutorial is specifically designed for 10 inch tablets, so you may need to alter it if your tablet is a different size. 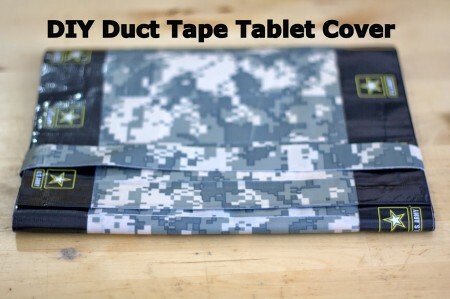 Get the tutorial here- Distractions: DIY Duct Tape Tablet Cover.